infinite_ammo Here I am trying to work on like 4 games and dude’s bugging me being like “WHY CAN’T I BE YOUR INTERN” Cause you’d waste my time is why! @glencharles mind museum? probably. @jamaicanpatsy’s imagine cup team has an exhibit! @saielvi oh, we can make that lower if you like. :P thanks rin! georgeb3dr It could have been worse. Adobe or Microsoft could have bought Unity. notch We were in talks about maybe bringing a version of Minecraft to Oculus. I just cancelled that deal. Facebook creeps me out. Jonathan_Blow I would just like to point out that John Carmack now works at Facebook. I used to be excited about innovation in iOS games. Many devs now don’t craft fun, story, or art. It’s about addiction. And pay-to-not-wait. Yesterday morning, Mendiola gate was closed. This morning it was open. This afternoon, closed. So… what’s the policy? Who decides this shiz? levi_io TIL: Chrome and IE parse dash “-” as 189, while firefox parses it as 173. You know you’re the new IE when IE is more consistent than you. stroughtonsmith iTunes won because it made owning easier than piracy. Subscription services will invariably win because they’re easier than owning. georgeb3dr @Jonathan_Blow will be an interesting 10-20 years seeing as virtually all indie games are on a licensed engine. @innaatan just checked your submission; didn’t find any luha. maybe you forgot to attach it? ANCALERTS Angara: Studies have shown tax compliance gets better with lower tax rates. time? what is this rare, elusive resource you speak of? @jamaicanpatsy jokes on you, I won’t be coming in tomorrow (seriously). :( chanty’s flight arrives tmrw and I’m picking her up. @secretxergin haha thanks. :) but really, I do freak out over the littlest things sometimes. @glencharles that part’s not my job eh :( you’re better off asking someone like @wilhansen_li or @pleasantprog. Just finished Broken Age. It was wonderful! But that ending though. (it was very… “then who was phone! ?”) Now, the long wait for Act 2. @kennethgyu @alexiznotonfire hey, I don’t make lame jokes in class. right @innaatan ? @alexiznotonfire @innaatan but… I’m not qualified to teach that. :)) why ba? 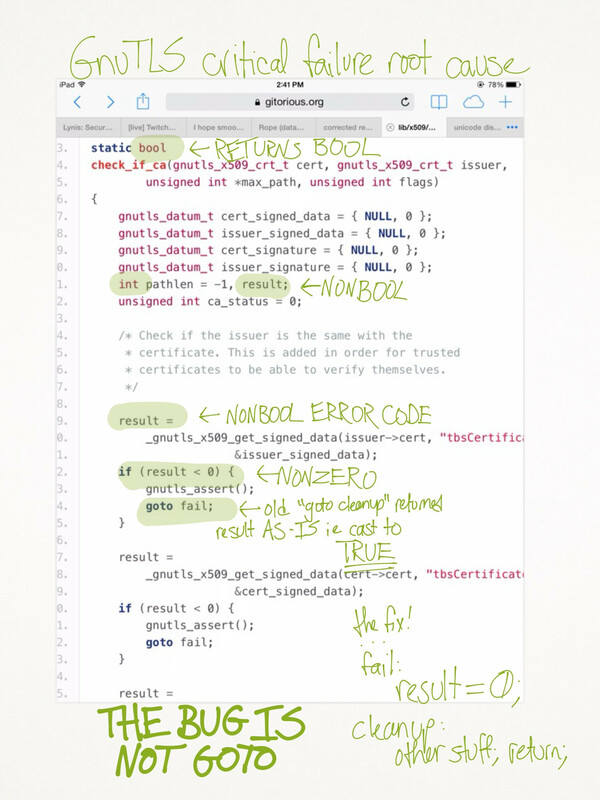 ReplicantOS devs find (and fix) backdoor in Samsung Galaxy devices, remote read/write. fsf.org/blogs/communit… —why buy Samsung again? @pmgomez yeah, I meant like “where did you see it”? haha. also, email is better right now for a number of reasons. @pmgomez yes. I did that, haha. how did you find it? 0xabad1dea “Seize the day” does not follow the English i-before-e rule, yet “carpe diem” does. Go figure. daveove The State of LTE — “Globe Philippines is the worst performing network” -opensignal.com/reports/state-…U@talk2GLOBEE congrats! tomslominski youtube.com/watch?v=mi0yXe… Reviewer hates his car. Hilarious. HealthCareTara FunnyorDie.com is the #1 source of referrals to HealthCare.gov right now. georgeb3dr It’s amazing that Microsoft handheld/mobile devices are basically 100% irrelevant to developers to support. Just amazing. migueldeicaza With iOS 7.1 out, the QA team has requested both a Tesla and a BMW to make sure our product runs fine on those devices with CarPlay. sandbaydev Give a man a game engine and he delivers a game. Teach a man to make a game engine and he never delivers anything. 0xabad1dea I have no idea if this is a well-orchestrated hoax or a legendary paypal legal disaster in the making: @princessthot’s timeline. threw up a VPN and am now getting ~400-700kiB/sec. uhm, screw you PLDT. …is PLDT throttling downloads from Steam? I have a 8.5mbit connection but am only pulling ~100kiB/sec. Also very consistent, as if shaped. Had a dream where I was meeting a client (on vacation) + giving a quote. Didn’t go so well and I woke up. yeah, too many meetings this week. @cedwardsmedia thanks for the heads up. I’ll give @dashlane a shot. “The Face Behind Bitcoin”—mag.newsweek.com/2014/03/14/bit…R great + thorough piece. That said, I feel for him. Some people just want to be left alone. It’s a great time to consider using two-factor auth, randomly-generated passwords, and a manager like @1Password, @LastPass, or @KeePass. Can’t go a month without at least one company/startup saying they’ve been hacked, I need to change passwords, etc. This week is @comiXology! @tomslominski yeah. not as comprehensive, but it has a nicer foundation. I’d wait to see where it goes. Finally out! “Iconic: The icon system created for the modern web.” useiconic.com/tour/ — like font-awesome, but responsive + modular! @RyanSumo yeah, I meant for your talk. dang, I’d love to go. @RyanSumo sounds awesome! will there be coverage somewhere? @RyanSumo well, there were still a lot of bots/spammers/griefers. also the whole culture/cult that formed around it. but overall, yes. We may never know if a million monkeys will write Shakespeare, but ~100,000 users in a Twitch chatroom can beat Pokémon Red, apparently. #TwitchPlaysPokemon? More like Twitch Beat Pokemon! whooooo guys! @secretxergin I know. This game is ruining my life but I can’t stop. Add me on Game Center!